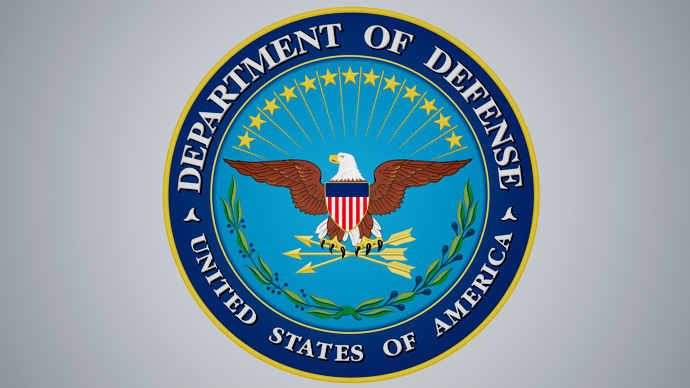 The Defense Department’s interference stems from a controversial order issued in January requiring the judges in three active terror trials to relocate to the US base in Guantanamo Bay, Cuba. It would also strip military judges of other duties, including presiding over US service members’ court martials. The judge, Army Col. James Pohl, said in a 10-page ruling on Wednesday that the relocation order created "at least the appearance of an unlawful attempt to press the military judge to accelerate the pace of litigation and an improper attempt to usurp judicial discretion." His ruling halts all activity in the case unless the rule is rescinded. Prosecutors have five days to appeal. Pentagon spokesman Army Lt. Col. Myles Caggins told the Associated Press there was no immediate comment. Pohl has been based in the US and periodically travels to Guantanamo to preside over the military commission proceedings against five prisoners charged with planning and supporting the September 11, 2001 terror attacks. Lawyers for the five men filed a motion on January 30 seeking to have the case dismissed because of the relocation order. They argued the order from January 7 was an improper attempt at “unlawful influence” with the death penalty case. The order was issued at the request of a Pentagon legal official who wanted to speed up litigation in three terror cases. The Sept. 11 case is still in pretrial hearings. The men were arraigned in May 2012 and charged with 2,973 counts of murder and other terror-related charges. The five men charged are Khalid Sheikh Mohammed, Ramzi bin al-Shibh, Mustafa Ahmed al-Hawsawi, Ali Abdul Aziz Ali, and Mubarak Bin Attash. The next hearing is scheduled for April, but a trial date has not been set. A similar order was issued to another military judge, Air Force Co. Vance Spath, who presided over the case of Guantanamo prisoner Abd al Rahim Al Nashiri. The detainee was charged in the attack on the USS Cole warship off Yemen that killed 17 US sailors and wounded dozens of others. Spath, who is also chief of the Air Force judiciary, is also hearing an argument this week on whether to dismiss the case for unlawful influence because of the order. So far, none of the judges have obeyed these orders, pending clarifications from their overall commanders, known as the judge advocates general.